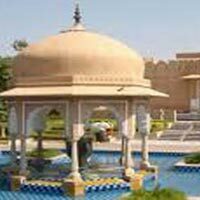 Arrive Jaipur, and met by our representative at the airport or railway station, transfer and check into the hotel. Evening Free for Shoping. Overnight stay at the hotel. Take a full day sightseeing tour and visit Amber Fort, Hawa Mahal, City Palace and Jantar Mantar observatory. Overnight stay at the hotel. After a hearty breakfast, check out from hotel Proceed to Ranthambore and check into the hotel. Overnight stay at the hotel. After a hearty breakfast, enjoy jungle safari by open canter. Visit to the park where you will have a chance to see Hynas, Jackals, Jungle cats, Chital, Panthers and possibility of the famous Indian Tiger if you are lucky. Overnight stay at hotel. After a hearty breakfast, relax a bit for another 2-3 hours then check out from the hotel and "High Spirit Adventures" thank you for your patronage and ensure a punctual transfer to Sawai Madhopur Railway Station.